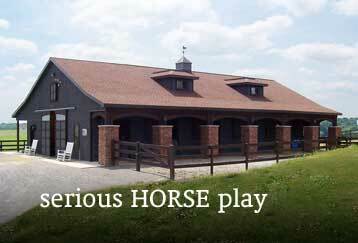 Custom and Pre-Designed Post Frame & Pole Barn Building Solutions to last for Generations. 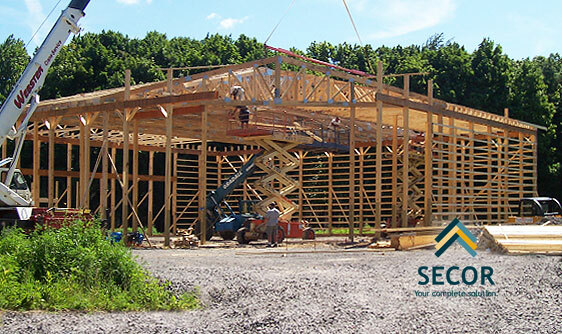 Secor Building Solutions is Upstate New York’s go-to post frame and pole barn design and construction partner for agricultural, business, municipal and residential customers across the Rochester, Finger Lakes and Syracuse, New York region. 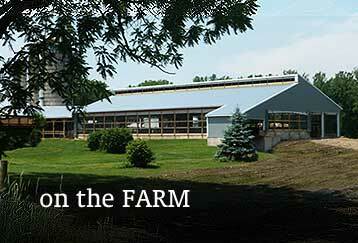 Post frame buildings offer durable, flexible and affordable building options for barns, equine facilities, utility buildings and garages, retail & office space, or just about anything else you can imagine. Post-frame buildings are structurally engineered wood frame buildings. Post-frame may utilize a wide variety of foundation options; the most common being an embedded treated post supported by a concrete footing. Whatever interior or exterior look you prefer, post-frame can meet the challenge. 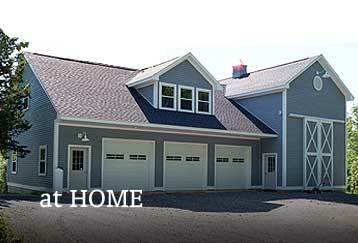 For all kinds of low-rise buildings, post-frame offers a variety of foundation and finishing options. From small garages to large professional buildings with clear-spans of up to 100 feet, post-frame is an excellent choice due to its many inherent advantages. Questions? Schedule a Post Frame Building Construction meeting today with one of our experienced, professional Pole Barn Building Design & Contractor specialists. Whether you want to build a workshop, multi-purpose building, garage, commercial or agricultural building, Secor post frame building construction engineers and designers are here to help you. 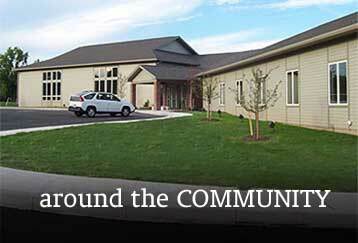 For over 80 years, we have provided the Syracuse, Auburn, Waterloo, Geneva, Canandaigua, Newark, Lyons, Clyde, and Rochester area with quality post frame and pole barn design, construction, and building materials that stand the test of time and meet the needs of property owners across Central New York and the Finger Lakes Region. 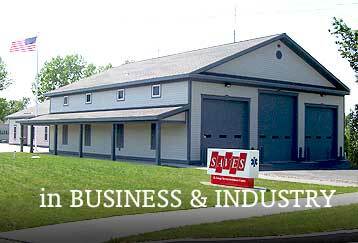 Our primary service areas include Cayuga, Yates, Ontario, Oswego, Seneca, Onondaga, Wayne, Monroe, and Livingston Counties in Upstate New York.